Much of the electricity used in the US and abroad is generated by burning fossil fuels. Fossil fuels damage the environment, both when extracted from the Earth and when burned to create energy. However, the Earth’s population continues to rely on non-renewable fossil fuels for power production. Looking ahead at the accelerating energy demands of the future, no single clean technology — not wind, not solar, not nuclear power — can meet the future energy needs of more than seven billion people living on our planet. Our growing energy demand requires a mosaic of energy sources which draw from a variety of renewable resources. Geothermal energy is a clean, safe and plentiful energy source that minimizes ecological impacts better than any other renewable source of power. In the next 20 years, 50 GW of coal and 40 GW of nuclear power will be retired. Geothermal is the only renewable energy source that has the capability to replace this base load energy. Both greenfield EGS and EGS stimulations of existing wells can deliver more than 500 GW of power according to MIT’s study, The Future of Geothermal Energy, published in 2007. Geothermal energy is energy stored in the form of heat within the Earth. This heat is continuously generated by natural geologic processes taking place below the surface. While the land surface where we walk is relatively cool, geothermal heat increases with depth all the way to the core of the Earth. Geothermal energy, in the form of heat, can be harvested by bringing hot water and steam trapped in rocks up to the surface. Steam-driven geothermal power plants have been producing sustainable, green energy for over 100 years. In fact, the oldest geothermal power plant was built in 1911 in Larderello, Italy and is still producing power today! The geology of the western US is particularly well-suited to geothermal energy production, and a large percentage of the world’s geothermally-produced power is generated in the western states. Traditional, or conventional, geothermal power production relies on the availability of heat, the natural permeability of rock and the presence of naturally-occurring hot water and steam systems below the surface. While these systems are effective, geothermal reservoirs can decline in temperature, pressure and steam availability over time, decreasing the efficiency of power production. 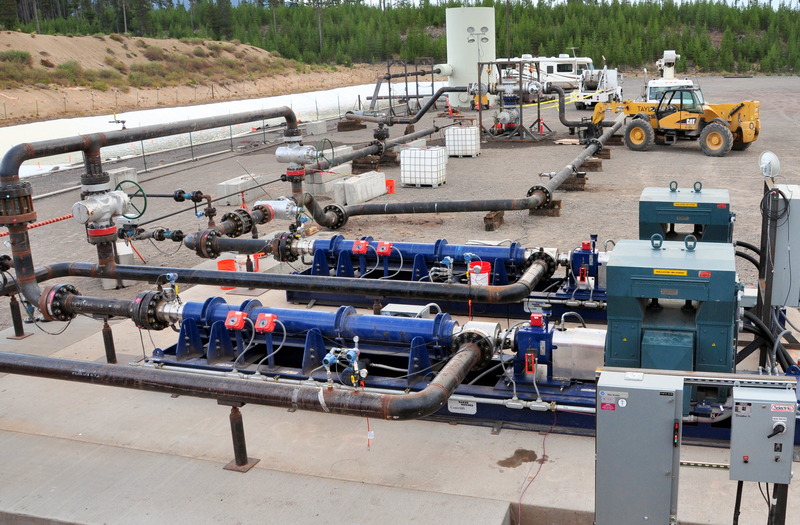 Engineered or Enhanced Geothermal Systems (EGS) use modern technology to generate permeability at new geothermal sites, or improve conditions at existing power plants. AltaRock’s patented EGS technology, combined with industry experience and expertise can reduce investment risk at greenfield geothermal projects and improve conditions and extend the life of existing geothermal wells at existing sites. Geothermal energy and EGS are the future of energy, producing reliable base load (24/7) power through sustainable, Earth-friendly engineering and operations practices.